We’ll only have to wait for a few more days…. FINALLY! Have you read the Reviews on Goodreads? I’m really scared because Amy A. Bartol seems to have messed things up (in a good and a bad way). I don’t want to have everything in ruins (If I wanted that I could’ve just re-read the Hunger Games). But still … I’m really eager to get all the answers to my questions. My new mantra: … ignore the reviews on goodreads ignore the reviews on goodreads ignore the …. What is your WoW-Pick this week? Let me know! 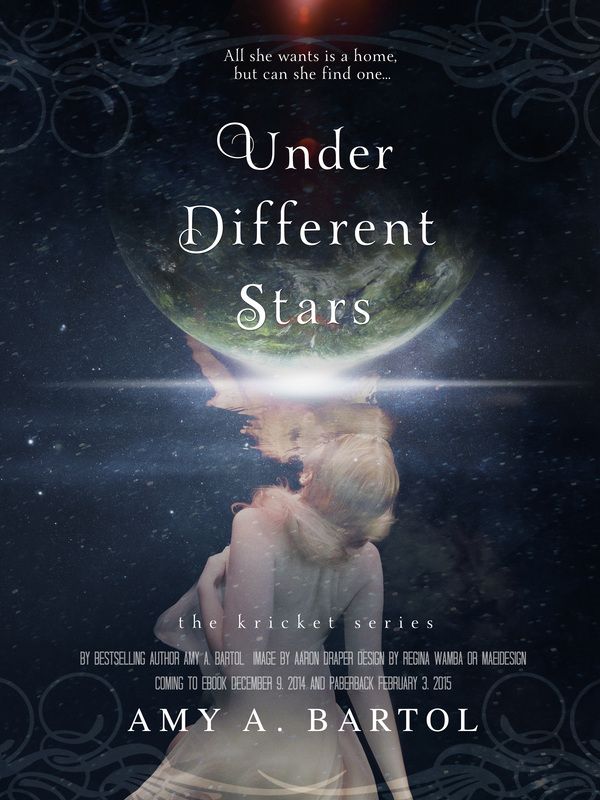 A few months ago the sequel of Under Different Stars was released and I’ve read it as fast as possible but didn’t really feel like reviewing it at once. But now the fans of the Kricket-Series need to know what awaits them. picture and Summary by Goodreads. It’s true. This book suffers from the “sequel”-disease. Before you read any further, you have to keep in mind that this Opinion will be full of spoilers (sorry). Just let me say that you should totally read the second book if you are a true fan and can handle a few downs. 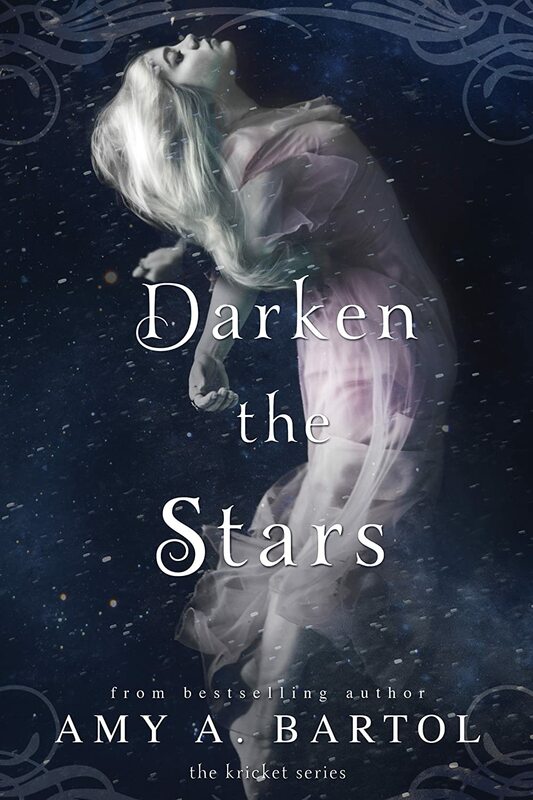 – The book is clearly just a “transition” to the third book and to make up for that Amy Bartol filled the book with so many cheesy scenes between Trey and Kricket, I couldn’t really take it that much longer. Don’t get me wrong, I’ve loved that couple in the first book because the dosage of “Kricket-and-Trey-Moments” was perfect, but now it’s clearly an overdose. Sorry. – Why is it an overdose? I mean, they are so cute and sweet and and and … because, they are running away from that psycho Kyon what feels like the whole book aaaand …. I’m not prude but seriously I don’t need 60 % of Trey and Kricket just making out while the world is being torn to shreds. In the beginning there was some confused fighting against them and then some others and … WHAT?! There was not much “story” in this book, it contained what felt like 2 days or so. – … aaaand I still love the boys, Trey’s squad. Whatever happens, you need some funny lines from Jax. Or one of the others. Always. Yeah, you can read it. I did. It wasn’t that bad. I just wished it would’ve been better. 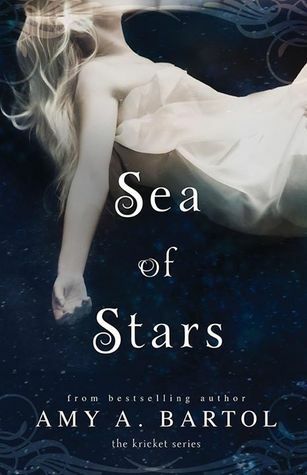 The book that’s on my “I-want-to-read-this-so-badly!”-List is called “Sea of Stars” and is the sequel to the first book “Under Different Stars“. “Eighteen-year-old Kricket Hollowell was looking for her place in the world when she discovered that the universe was bigger—and more dangerous—than she had ever dreamed. Now, whisked across space to the planet Ethar, Kricket learns that her genetic ability […] makes her a sought-after commodity…and the catalyst for war between her star-crossed parents’ clans. According to Alameedan prophecy, one house will rise to power and the other will be completely wiped out, and Kricket’s precognition is believed to be the weapon that will tip the scales. 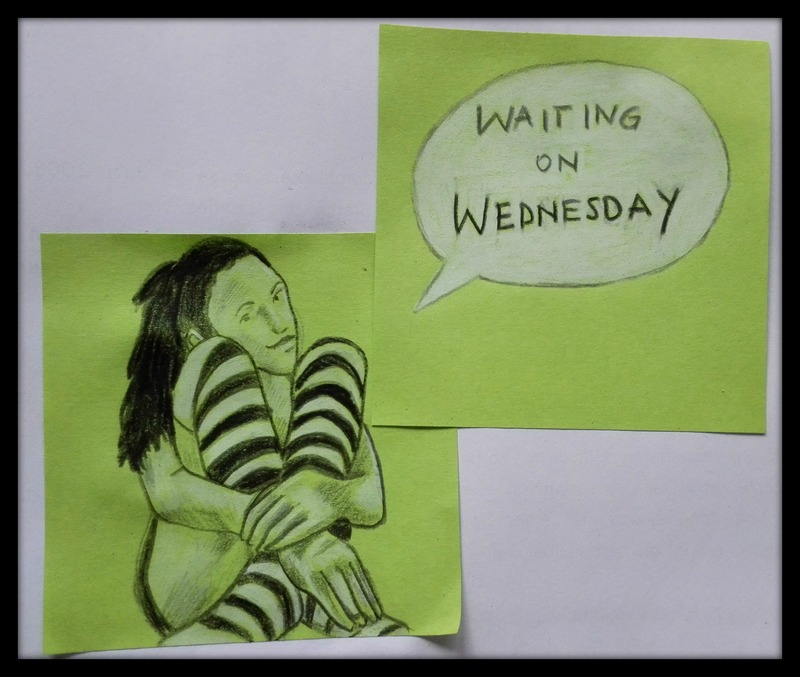 Because I’ll try to participate in the “Waiting on Wednesday”-event (hosted by Jill on her blog breakingthespine) and I wanted to present the upcoming sequel: I thought I should first show everyone this fabulous beginning of a very, very, very good story! Yes, okay, there is some romance going on and yes, she is still a teenie and has feeling as one. But please, if I read a YA-novel I expect a little romance and some interesting male characters. I’ll admit it. At first, it was really hard for me to figure out which of the really funny guys I like best and if that’s the only thing I struggle with, this book has to be good! So, go on and read this book so you can be ready for the upcoming sequel!